You’re in luck because I found a perfectly family-friendly movie for you this St. Patrick’s Day weekend! The Luck of the Irish is a Disney Channel movie that mixes some leprechaun shenanigans with basketball. It’s silly, funny, and absolutely fitting for St. Patrick’s Day. The story line of the movie made for a fun and unique table theme. 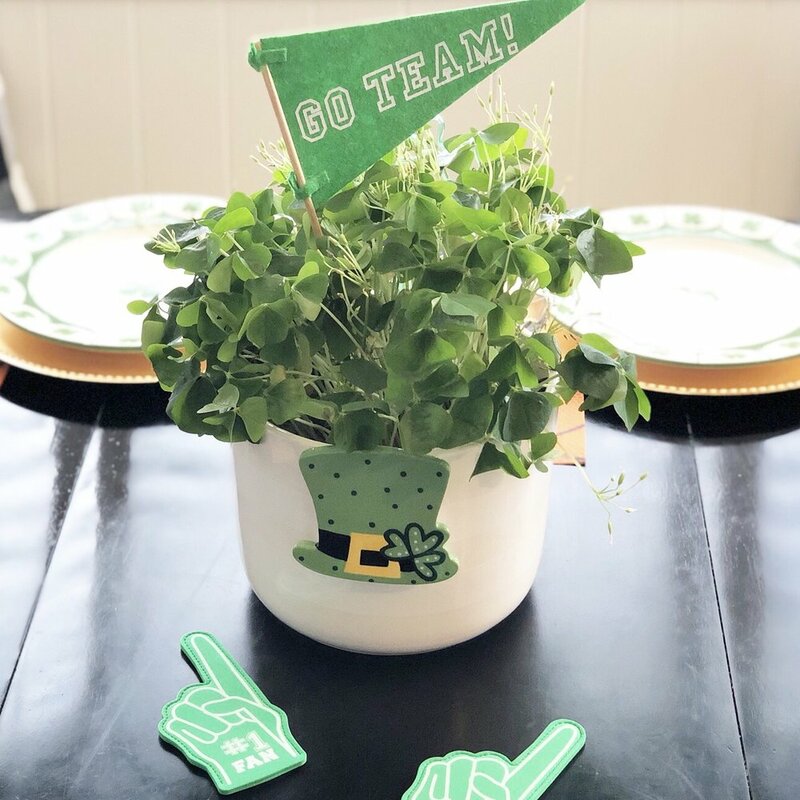 I mixed in basketball napkins from the Target Dollar Spot and I love how the orange fits with the Irish colors. 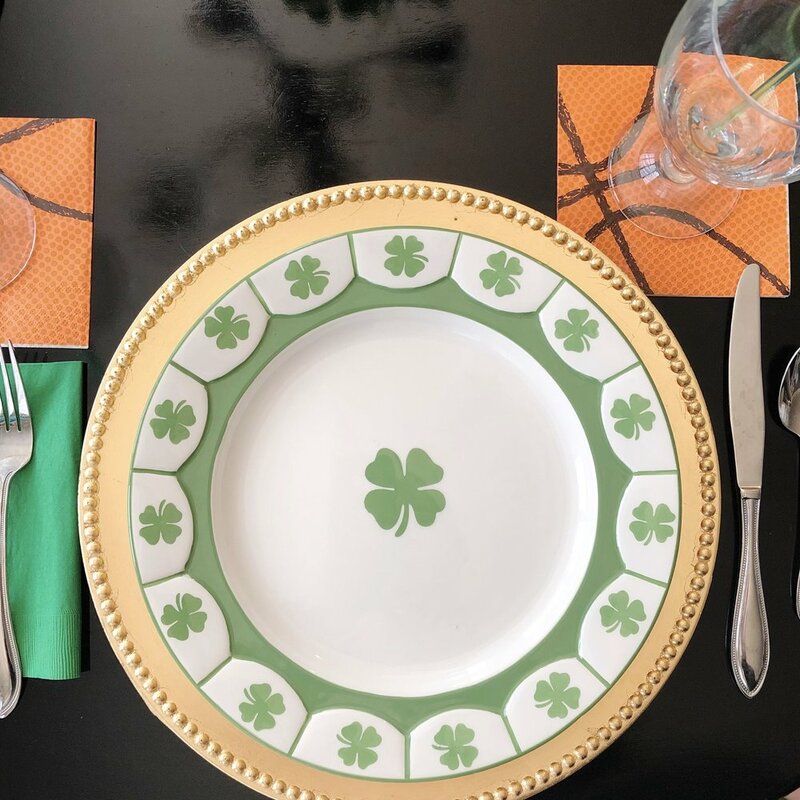 My shamrock plates are from Homegoods and I always enjoy using them year after year. The little pennant and foam fingers are also Dollar Spot finds. My kids noticed these first! I like how they add at sporty touch. I also know I will find another use for them down the road. I can always count on Trader Joe’s for a themed meal. My guys especially enjoyed this “Blarney Scone” soda bread. Our main course was bangers and mash... and it was a huge hit! Or should I say... slam dunk. Movie night is a great excuse to try something out of the ordinary for our family. Shamrock Shakes were a sweet ending for this movie night. I love any excuse for sprinkles and a fun straw. The “Lucky You” napkins are from the Sassy Napkin Society. We hope movie night will be part of the shenanigans you get up to this weekend! Once you grab the cash, it’s important to keep it in a safe place. Last month we set up our gift storage area. If you feel that’s a good place to keep it, put it there. If you need somewhere a little more secure, put it away… then write down where it is and stick that note in your Christmas Planner notebook. You could also keep the money right inside your notebook. Sit down and write down all the people you give to at Christmastime. Include them all… family, friends, teachers, and loved ones. Make a rough budget of how much you will spend on each person. Subscribe to our Crazy for Christmas Challenge email list for a handy Gift List Printable for your binder. Now that you know how many gifts you plan to buy, divide them up between March and November. You can do this by number of gifts or by dollar amount... spread out over those nine months. So, if you have 18 gifts to buy, you’ll need to buy two per month starting next month. Or, if you plan to spend $500 on all your gifts, you’ll want to buy around $55 worth of gifts each month. It’s up to you how you want to divide up your list, but the key is that you’ll have them all purchased by November! Next month we will actually start buying gifts, but for now you just need a plan. This will help you plan out your monthly budgets as well. Happy planning, friends! You can find the Crazy for Christmas Challenge Facebook Group here for more inspiration and to share your progress.